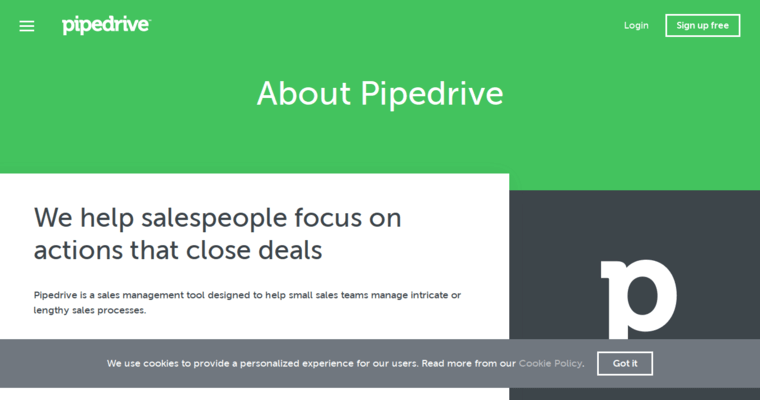 If you have any experience in the field of startup CRM, you are probably familiar with Pipedrive. 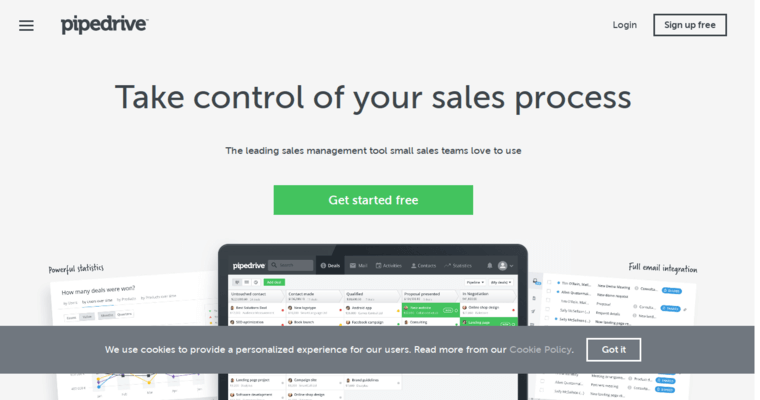 This piece of comprehensive CRM software contains all the most notable tools for improving customer retention, satisfaction, and overall happiness. It works by providing an intuitive, engaging atmosphere that is neither too dull nor too distracting to allow for work, and there are no overly advanced functions to distract you from the standard, solid functions that are most used in a suite like this. Since the tools in the software are scalable, they can be used by brands of any size. More than 700,000 businesses already take advantage of the power of Pipedrive, and more are signing up every day. There are three pricing plans available in the software, and those are the Silver, Gold, and Platinum plans. As your business grows, you can opt to upgrade to the next tier at any time.